Step 1: The customer logs into the service provider's Website to select the products, services and the payment method through the NAPAS domestic payment gateway. 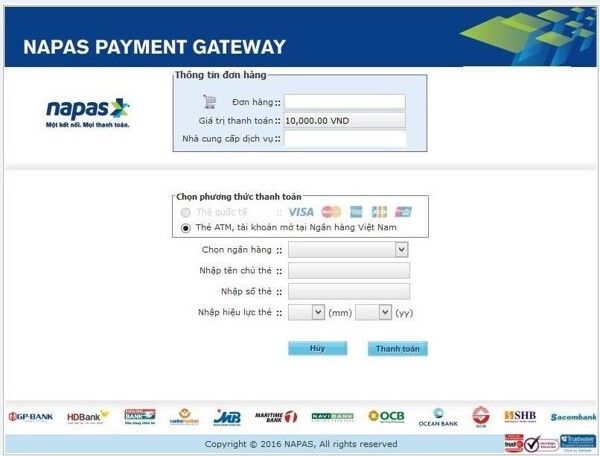 Step 2: Enter the card information at the NAPAS domestic payment gateway. 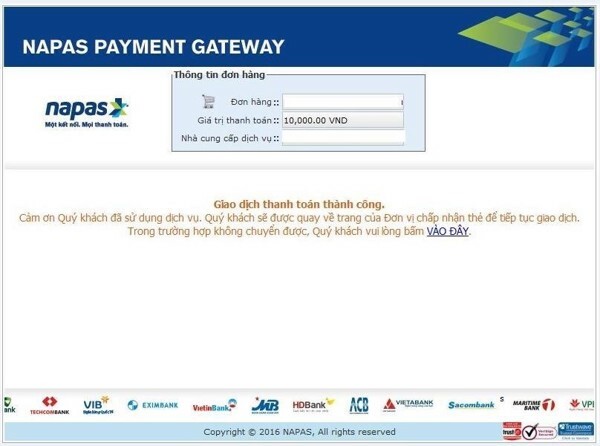 After selecting the payment method via NAPAS domestic payment gateway, the customer is transferred to the NAPAS domestic payment gateway. At the NAPAS domestic payment gateway, customer enters the card information required by the Bank. 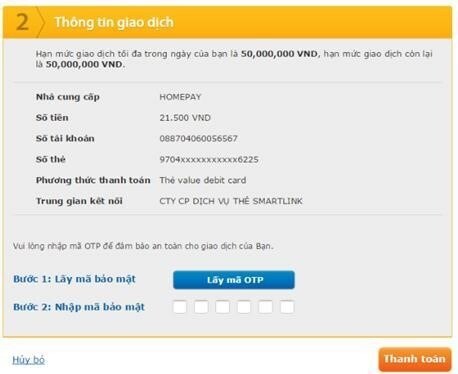 If the card information is not valid, the card is not eligible for payment ... the system will report an error and display an error message on the NAPAS domestic payment gateway interface. Customer repeats transaction steps or make payments with another card. If the card information is valid and the customer is capable of paying, the customer will be redirected to the OTP authentication page. Step 4: The transaction notification screen of the customer successfully executed. The system will transfer the customer to the service provider's website to inform the details of transaction result that the customer has just made. Merchants send confirmation of obligation to provide products and services to the customer.